when you can train in Acting at drama school? If you have a successful drama school on your doorstep with a great reputation, surely it would be madness to look for actor training anywhere else! We are thrilled to be able to offer this FULLY FUNDED 2 year course in Acting and Drama for students who are considering a professional career in the industry. Equivalent to an extended BTEC/3 A-Levels, this Oxford, Cambridge and RSA (OCR) highly vocational qualification provides those aged 16-19 years with a level 3 award. Being based at Lighthouse, Poole’s Centre for the Arts (the biggest arts centre outside London), you’ll be in the hub of a professional and artistic venue with creative projects going on around you all the time. Over the 9 years we have been there students have been involved in professional productions, projects, workshops and Q & A’s along with free tickets for shows. 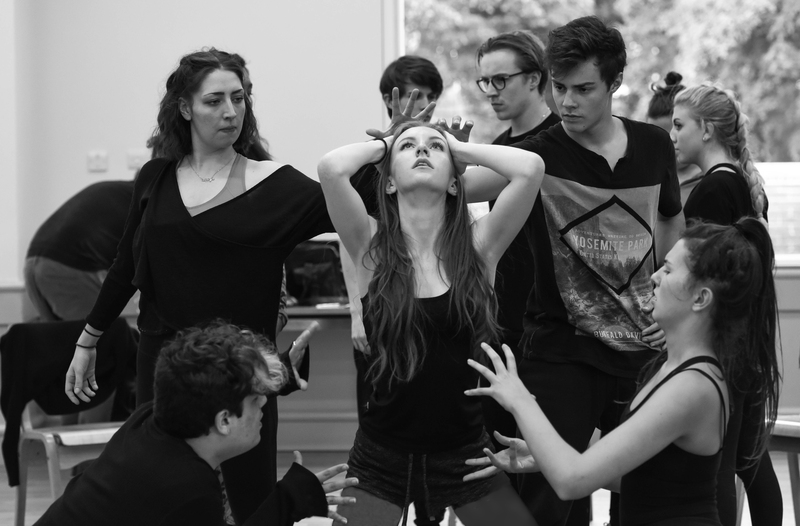 So, you’re looking for a course that focuses on just acting and drama because you see yourself moving onto places like RADA, LAMDA, Guildhall & Royal Central or Rose Bruford, particularly if you prefer the technical side of things. Maybe you’re not sure what will be next for you but you just really love acting and want to know what it’s like to train at drama school rather than be at a mainstream secondary school or college? Perhaps University is the route for you but whatever happens we will be there to guide you. The other great thing is that we are a small school which allows you to grow as an individual and be the best you can be. As we believe that acting is the core and the most important of all the performing disciplines, we are so excited to be the only place in the South that offers this opportunity. And the fact that it is a practical, hands on course means that, out of all Level 3 qualifications, it involves the least amount of written work. You’re going to be so lucky as you’ll be working with some of our industry professionals with years and years of experience which will give you a real insight into the world of stage and screen. We cant wait to have you onboard! Acting technique - "The Process - the secret of truthful acting"
Throughout the course you will rehearse for several performances. You will be regularly taught by several teachers and coaches at DSA who have trained at Rose Bruford, Royal Central School of Speech & Drama, East 15, Royal Birmingham Conservatoire, Italia Conti and Northern Ballet School. Their professional work is both national and international, West End, off West End, touring, TV, film and some have their own successful theatre companies. All fees for this course are fully funded by the Local Education Authority for those aged 16-19 years only. Please be aware that extra costs may be incurred outside of training hours for things such as uniform, theatre visits, travel, scripts. Age for entry: 16-19 yrs. Entry requirements: GCSE English at grade 5 or above, GCSE Maths at grade 5 or above. (This is a discretionary requirement). 2 contrasting monologues, 1 contemporary (post 1980), 1 classical (600 BC – 1800 AD). Please wear appropriate and comfortable clothing and footwear. OCR (Oxford, Cambridge and RSA) is a leading UK awarding body. They provide GCSEs and A Levels in over 40 subjects and offer over 450 vocational qualifications. Their heritage is long established and provides them with expertise across the full range of academic and vocational qualifications. Since becoming established in 1998 their experience, knowledge and skills have enabled them to build a reputation for reliably high standards. As part of the Cambridge Assessment Group, they have access to unrivalled expertise and research capability across assessment and examinations. I have throughly enjoyed my time at the Dorset School Of Acting. The teachers are incredibly dedicated and lovely. The range of lessons that are on offer is amazing, I have done things here I never thought I’d have the chance to try. They cover everything to give you the best experience they can. I don’t know what I’d do without this course. Thank you so much for everything you have done.